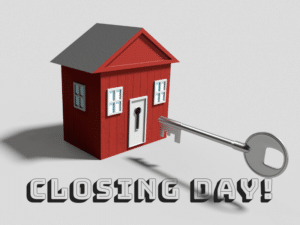 It’s Closing Day on Your New Home – Are You Ready? 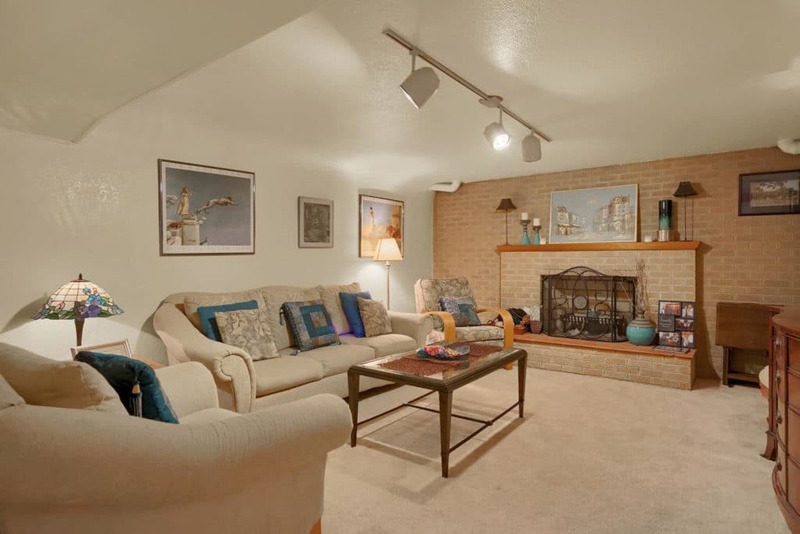 The process of finding a home that fits your needs and is perfect for you and your family takes time and preparation. Once you are under contract to buy your perfect house, you’ve made it through getting a loan, inspection, appraisal and all the other details and you’re ready for closing! 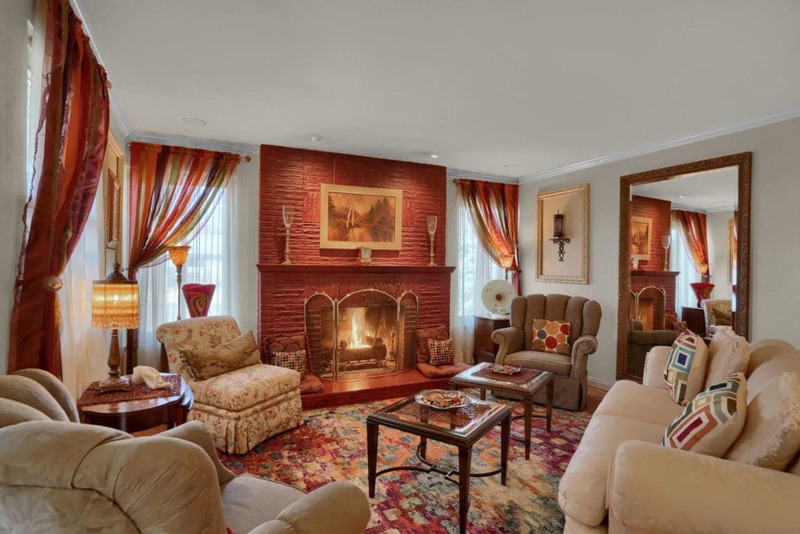 Here are a few tips to help closing be a successful and smooth transition. It may seem simple, but make sure you know exactly where you’re going to close on your home and when you need to be there. 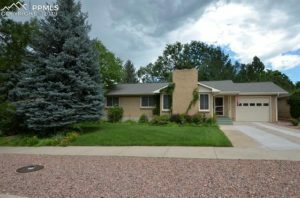 Often in Colorado, closings are done at a title company or real estate office. Get the address from you real estate agent, plus any specifics like parking or special needs that you may have to make it a successful closing. For instance, the title company can arrange (in advance) translators or sign language specialist to help communicate. The title company will require a form of ID (usually a driver’s license or passport) for everyone who will be signing documents (i.e. those on title). Make sure you bring you identification and have it ready as this will be one of the first requirements when you arrive. “Good funds” are required for closing. This means, you can’t bring a stack of cash to the closing table or a personal check. Talk with your bank about having the money wired to the title company (you’ll need wiring instructions from the title company before you talk with your bank), or get a cashier’s check before arriving for the total amount due. 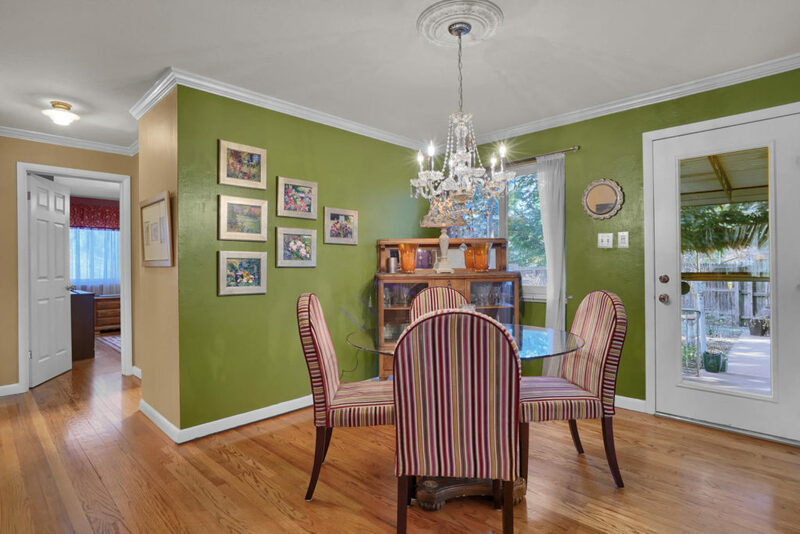 Your agent should provide this amount down to the penny a few days before closing. Utilities: Call your local utility providers to make sure utilities are transferred to your name on the day of closing. Depending on the company, you may be able to do this simple transfer of ownership without any reconnect fees. Trash: There are multiple trash companies in many communities (like Colorado Springs) so check to see if it’s part of an HOA or if you’ll need to contract directly with a waste management company of your choice. In Colorado Springs, there are also discount and perks you can opt-in for trash recycling. Property Insurance: Homeowners insurance will be required by the lender if you’re getting a loan to purchase the home, and you’ve probably already dealt with choosing a company. If not, make sure you have adequate property insurance starting the 1st day of ownership. Mail: Visit your local post office or jump online and have your mail forwarded from your old address to the new address. Over the next six months, be intentional about submitting your address change with the various companies you do business. This is especially important with credit card companies and can typically be updated with a quick phone call or a few minutes online. Cable: Call your local cable provide to set up new internet, phone, and cable service. Some companies are able to transfer your account from you old address. New Services? 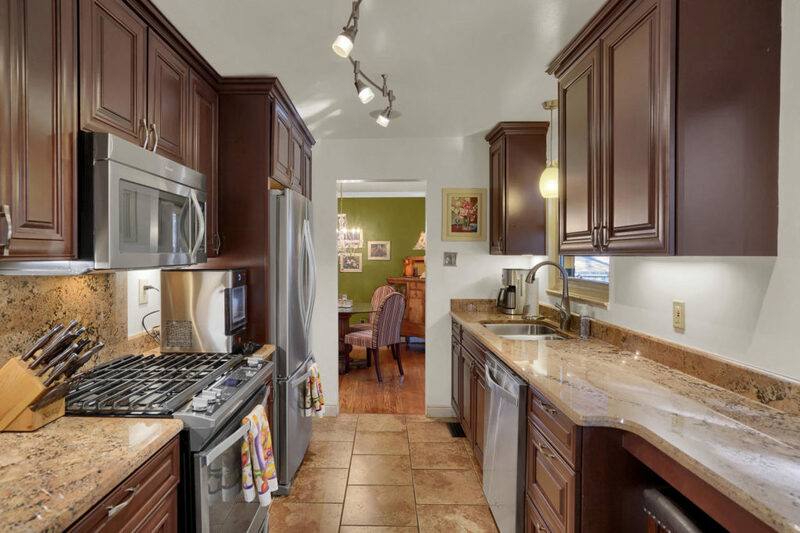 Think through what other services you may need in your new home that you didn’t have before. These may include things like a landscaper, pool cleaner, home security, etc. 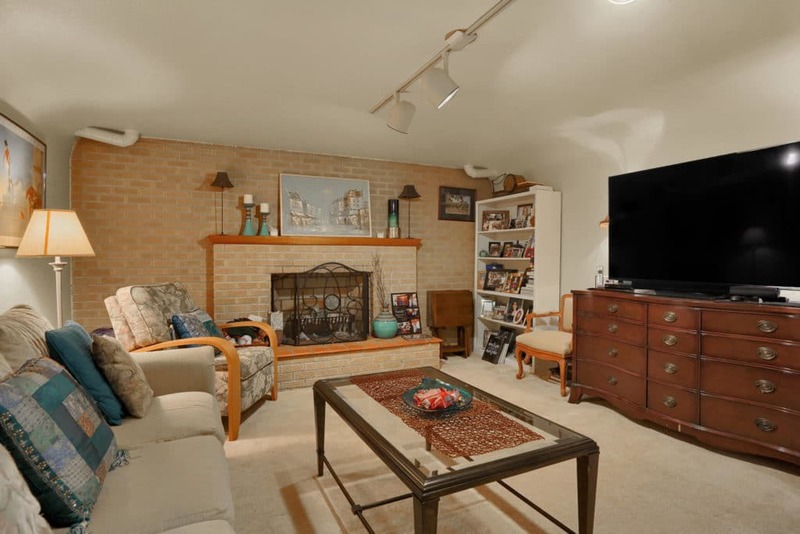 It’s always nice to have new carpet and appliances before you move into your new home. 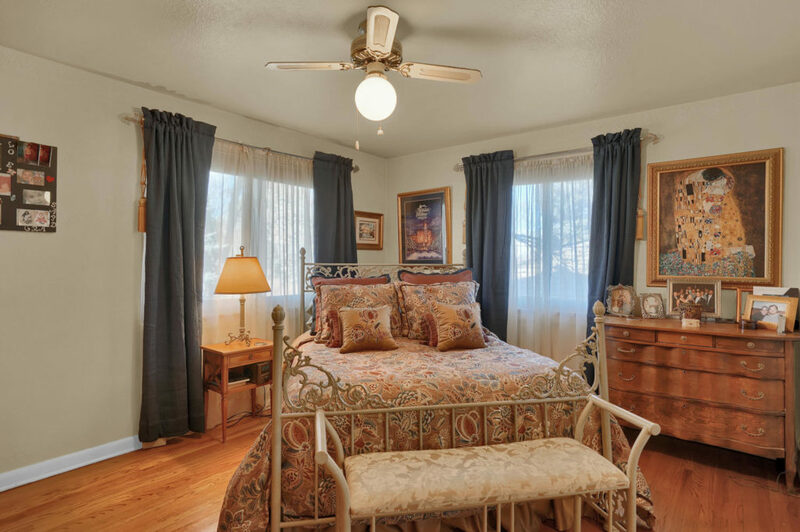 Coordinate with contractors to deliver products, install carpet and appliances, and prep the home for your ownership within a few days of the closing. Is there a code to the garage door? Which mailbox is yours and did you get keys? What day is trash picked up? Gate code for a security gate into the complex or clubhouse? Make sure you are communicating by phone or in person with the title company to verify where the money is being wired. (2) charging you for a copy of the warranty deed to your new home. After you close, you may get “offers” in the mail to pay (usually around $80) for a copy of your warranty deed. Don’t fall for it! You’ll get a copy at closing, and the official copy once it’s recorded through the county. If you ever need this document, it’s public record and won’t cost you a penny. Also, your real estate agent can provide this to you at any time, especially if you need it for your taxes at the end of the year. Especially if you are getting a loan to purchase the home, there will be a stack of paperwork to sign. 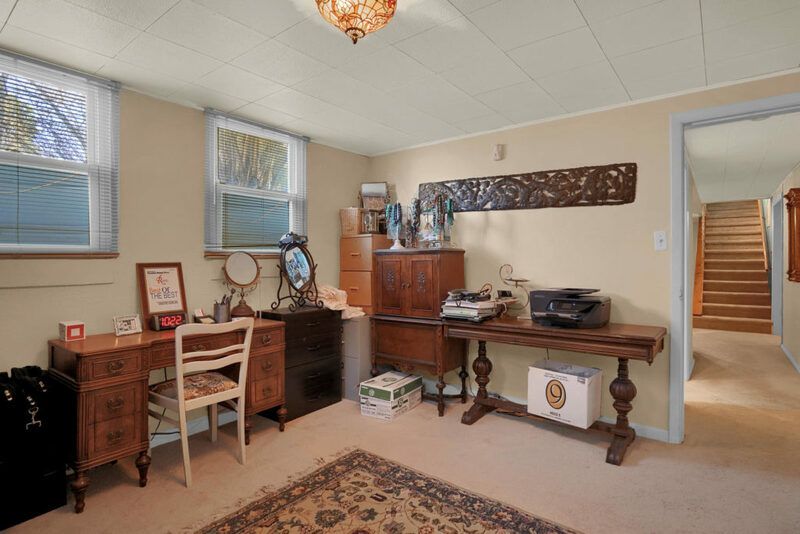 You’ll sign everything as instructed by the closer and usually consistent with the name you’re taking title to the property. Plan for about an hour to sign paperwork and finish the closing meeting. Haven’t Found Your Home Yet? Colorado Springs hasn’t typically been known for our proactive recycling efforts or homeowner participation in trash recycling. Recycling is not required in Colorado and the trash companies often charge additional fees to have a recycle bin picked up. This has discouraged homeowners and business owners from taking the extra effort and cost to recycle. 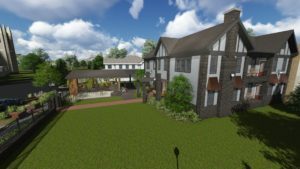 But a Virginia-based company has recently expanded to Colorado Springs and Denver which will reward homeowners for their recycling efforts and help the local economy by directing business and marketing to small businesses. 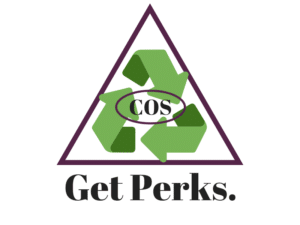 Recycling Perks Colorado Springs has a simple system summarized by their tagline, You Recycle, We Reward. Perhaps it’s what our city needs to encourage recycling: a very real and felt benefit. Recycling Perks partners with Waste Connections of Colorado Springs and local businesses to provide bonuses and perks for simply recycling at your home. How Do I Earn Perks for Recycling at Home? Individuals can sign up for the Recycle Perks program on the website and start earning each time your recyclables are picked up by Waste Management of Colorado. On pick up day, your account is credited with perks and special discounts from local businesses (like Bingo Burger). It’s available in multiple cities throughout the nation, including Colorado Springs and Denver. 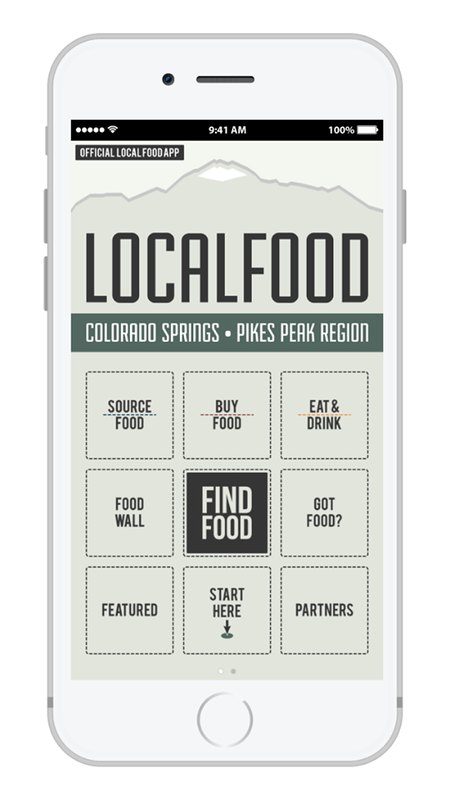 However, it just launched in Colorado Springs in June 2018, so the company is actively working on building their list of advertisers / participating businesses to provide discounts. How Do I Sign Up My Business For Recycling Perks? Businesses that chose to participate merely offer a discount, coupon or perk of some kind to pass along to consumers who have signed up for the program. It’s free for the business and they get additional marketing and exposure on the company’s website and through other marketing tools. Whether you are a local restaurant, nail salon, or retail store you can get additional exposure and marketing for your small business. Contact Recycle Perks for full details. 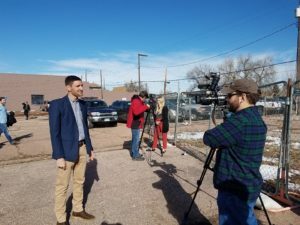 Various businesses in Colorado Springs have committed in different ways to help the local recycling efforts, but often the consumers are the ones who have to suffer. It’s time we all pitch in and put forth the effort to recycle in our community. Many consumers are already paying for recycling, so this give households an opportunity to earn back some benefits by using perks at local businesses. 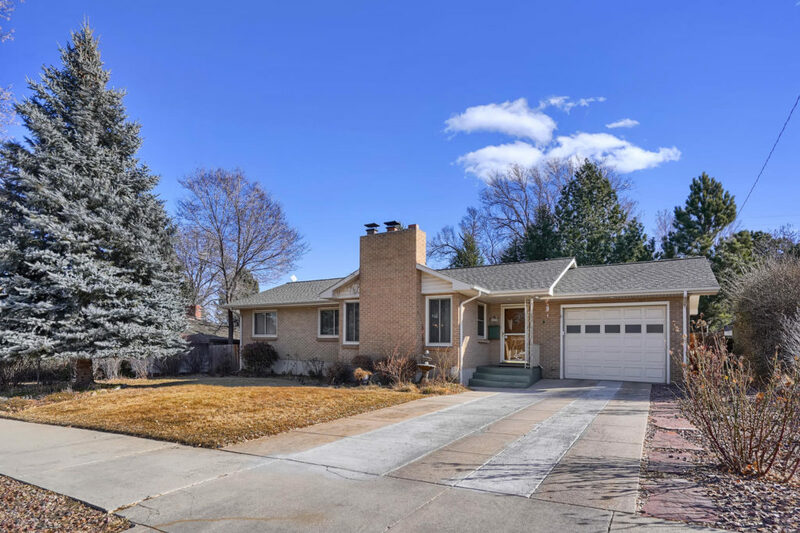 This real estate market has taken Colorado Springs Realtors on a wild ride, but is this slight change in the market a hint of what’s coming in future months? We knew the skyrocketing prices and home values were not sustainable for very long and July brought some decreases in average sales price and more listings on the market. For the month of July 2018, our average sale price dropped $14,000 for single family homes to $347,517 which is a more significant month-to-month change than we’ve seen in over 2 years. Many of the past months have been constant increases and made for a highly unbalanced seller’s market. July has been the first we’ve seen buyers starting to feel some relief in our market, as sellers decrease prices and more people are selling. In fact, we exceeded 2,300 active homes on the market – an amount we haven’t seen since July 2017. Interestingly, we have not seen a significant increase in “Days on Market” which means homes are selling just a quickly, but they are selling for less and there is actually more inventory (homes) to choose from. 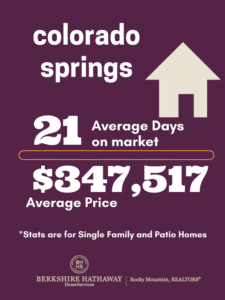 As of the end of July, our average days on market was 21 days for El Paso County. Keep in mind, various areas of town have different stats, like 45 days in Briargate versus 10 days in Central Colorado Springs. So should you be worried? No. The market is correcting and finally allowing for a more balanced and fair market, for both buyers and sellers. 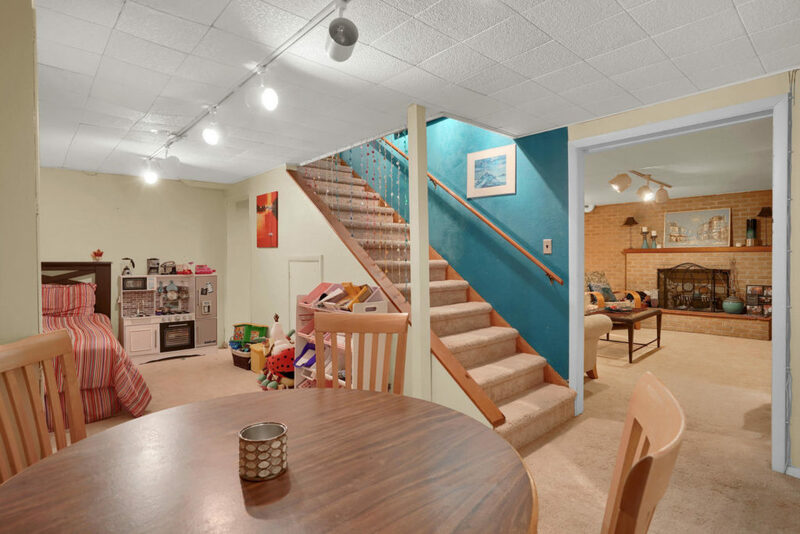 Now, it should be more about the home and negotiations can become an interaction where both have to give a little. Also, this isn’t yet a verifiable trend – is just one month of changes – and we could see these trends reverse in August as families move before the beginning of school. We often see small ups and downs around this time of year, and then a quick pick up again in the Fall months. For now, buyers, you should jump on the opportunity of lower prices before interest rates increase anymore. 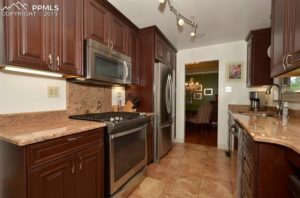 Sellers, most of you are still getting amazing appreciation on your home and full list price, but you may not have 15 offers within the first day…. But there are always exceptions! Contact your favorite experienced real estate agent for more insights, stats and advice on how to handle your specific life changes and real estate transitions. Mortgage Rates on the Rise – Buyers, Make Your Move! 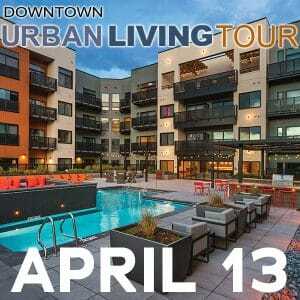 Downtown Colorado Springs offers various weekly activities plus special events each and every month! 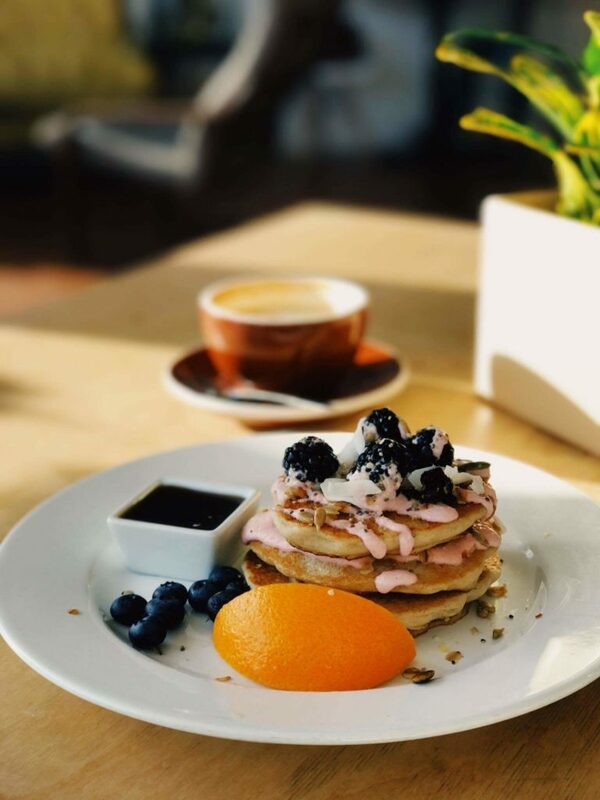 August 2018 is no exception and there are plenty of events to choose from, whether you are looking for family friendly events, food events, or more touristy options like downtown guided tours. Here is the complete list plus a few of our favorite highlights for the month. Here’s another ongoing event you won’t want to miss, but this one happens every week (for most of the Summer and Fall). It’s the best lunch you’ll eat all week, no matter which of the dozen food trucks you choose to order. Food trucks from around Colorado Springs gather in the square in front of the Colorado Springs Pioneers Museum and provide some of the best food around. Tacos, burgers, barbecue, pizza, and more. Make a lunch of it! For more info and to check dates, click here. Catching live music in downtown will be easy in August, and it’s not just in the evenings. Check out the Free Friday lunch concerts on August 10th and August 24th at the Palmer Center (corner of Pikes Peak Ave and Cascade Ave). Plus, the evenings are full of options to enjoy some tunes, including Music on the Labyrinth (August 11), Rhythm and Brews (August 18) and Jazz in the Garden (August 24). 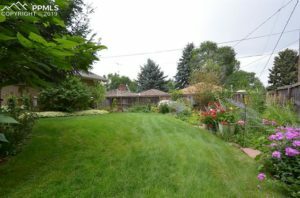 Keep in mind there are many more events throughout town doing Summer Concert Series, like Hillside Gardens Groove in the Garden just Southeast of Downtown Colorado Springs. 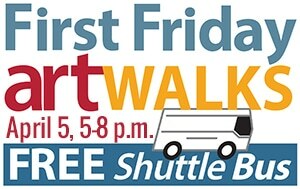 Watch for more events including running clubs, historic walking tours, and free museum days! 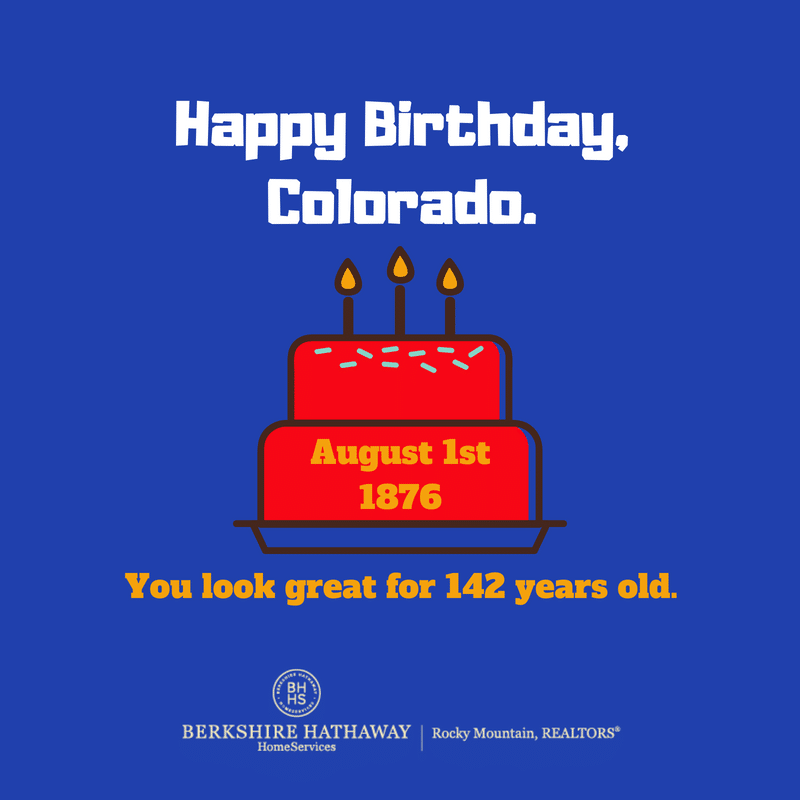 Colorado’s birthday is August 1st 1876. 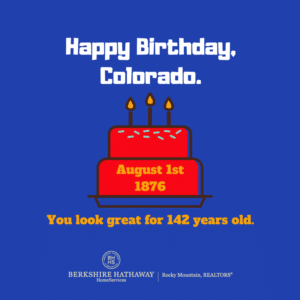 The Centennial State turns 142 years old on August 1st, 2018 (also known as Colorado Day). And we’ll gladly celebrate Colorado’s birthday with free admission to over 40 State parks on Monday, August 6th! 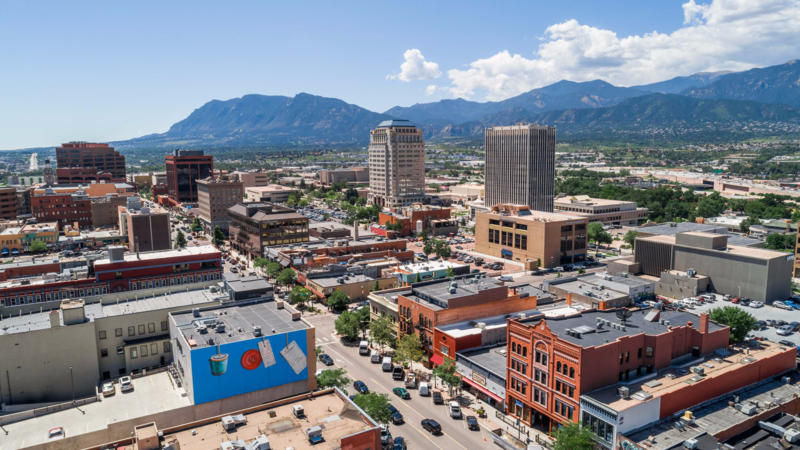 Plus, Colorado Springs was recently recognized at the “Most Desirable Place to Live” in a nationwide survey. That makes for a pretty amazing birthday, Colorado! 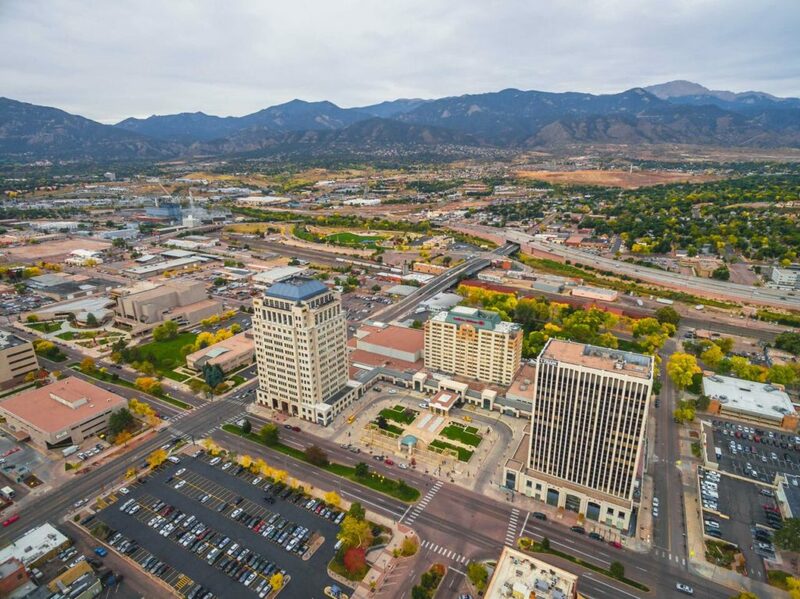 But the icing on the cake is Colorado Springs recent designation of Most Desirable City in the country! Yep, in a recent U.S. News survey people voted Colorado Springs #1 for a city they would want to live. Over the past few years, we’ve seen huge population growth which has created more urgency to continue improving the city. Downtown Colorado Springs has seen significant spikes in living options, entertainment, restaurants, recreation access and much more. 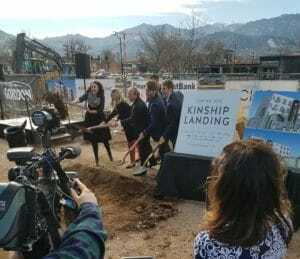 Just last week, the city announced plans for a 10,000 seat outdoor stadium (which will be home to our major league soccer team, the Switchbacks FC) and a 3,000 seat indoor stadium for the Colorado College Tiger Hockey team. 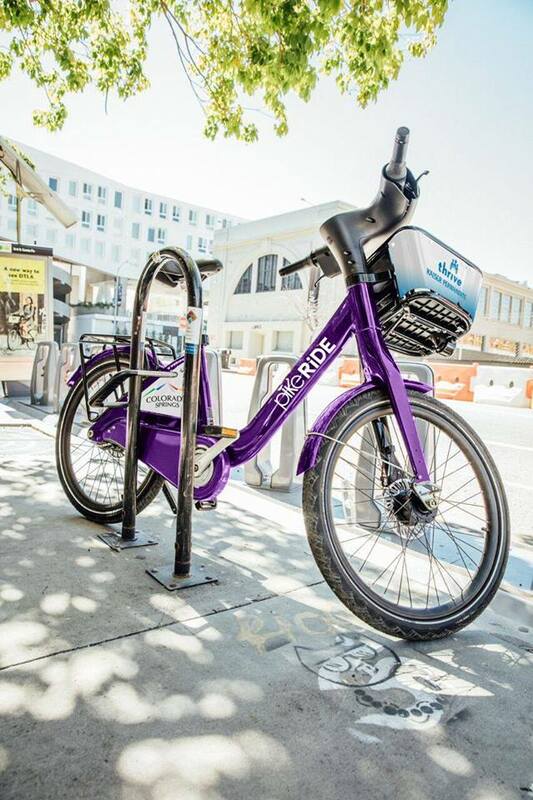 Plus, transportation and recreation are being thoughtfully tackled with additions of new services like PikeRide Bike Share System and the Legacy Loop Trail. 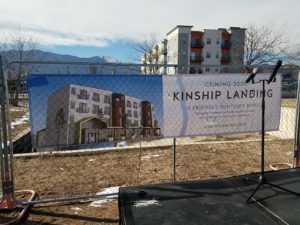 Take a look at other improvements Colorado Springs is making to help with the continued growth. We couldn’t be more happy to call Colorado home and we hope you feel the same way! Are you eligible for a property tax exemption? 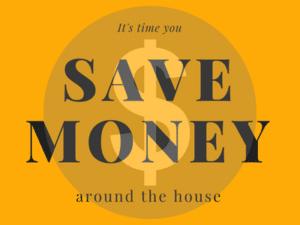 As real estate agents, we want to help you save money by getting the most for your home when you sell, and getting the best price on a home when you buy. But even after the real estate transaction, there are still plenty of ways you can save money and claim money for your everyday activities. Check out some of these options to continue making the most of your hard-earned money. Recycle at your home and save at local businesses in Colorado Springs and Denver! Recycle Perks coordinates with local restaurants, service companies and more to help you earn perks just for recycling at home! Check out the program and sign up. It’s free to use and earn rewards with some stipulations (mostly which recycling company you use). Thinking of installing a new smart thermostat? How about getting rid of your old refrigerator? Maybe it’s time for energy efficient windows, a new furnace, or clothes dryer. All of these are upgrades which you can earn rebates, either through your local utilities company or through tax credits. Colorado Springs Utilities offers credit back on your utility bill for many of these items. Take a few minutes to fill out the paperwork and submit your upgraded items to earn cash back. Click here to download the overview: Residential Rebates from CSU. Also, check with your tax professional for tax credits for things like smart cars, energy efficient windows, roofs, insulation and more. Visit https://www.energystar.gov/about/federal_tax_credits/2017_non_business_energy_property_tax_credits for more info. Sometimes it just takes a few extra coins to add up quickly. Whether you’re tossing your spare change in a jar or saving more intentionally with online options. For instance, Acorns connects to your credit cards and every time you charge your card, it’ll round it up to the next dollar and invest the extra change. You can also add multipliers to save even more over a shorter period. Plus, you’ll get $5 free added to your account just for trying it. Give it a shot. Do you have an appliance that was recalled? From consumer products to household amenities like internet, there are class action lawsuits you can claim based on your past purchases, accounts, and job history. Look on websites like Top Class Actions for money you’re owed on open settlements. Often, you’ll receive a postcard in the mail to notify you that you may be part of a class action lawsuit, but sometimes companies don’t have your latest information or a way to reach you. Check this site for opportunities to claim your share on open settlements. Your grocery shopping and daily online purchases could earn you cash back, for engaging in a few simple steps like taking pictures of your grocery receipts. Mobile apps like iBotta and other rebate-based programs can help you save a little extra cash for more important things….like home improvements and checking off the honey-do list. Plus, many give you an incentive to start, like a free $10 just for signing up with iBotta. It’s not a get-rich-quick venture, but it pays off long term for what you are already purchasing. Do you have boxes of things you’ve moved from house to house and haven’t opened for years? It might be time to sell them and earn some cash. Are you paying a monthly storage fee at a storage facility for depreciating items you may never use? Sell them and save your monthly cost, plus earn some money. Most likely, the furniture and household items you’re hanging on are things you’ll end up upgrading eventually anyway. Don’t waste the money to store them – sell them and get what you really want, or keep the extra cash to invest in things that will appreciate. Use local sites like Craigslist, OfferUp, and Letgo to sell your stuff.